New York City is Cupcake Crazy! The cupcake craze has been in full swing for a few years but I still did a double take when I saw a mobile cupcake shop on a New York City street recently. I didn’t stop to check out the confections at the Cupcake Stop as I’d just come from a day of classes at the French Culinary Institute and couldn’t possibly have eaten another bite. And besides, it was cool, windy and raining, although that didn’t seem to deter others from choosing from an assortment of cupcake flavours. 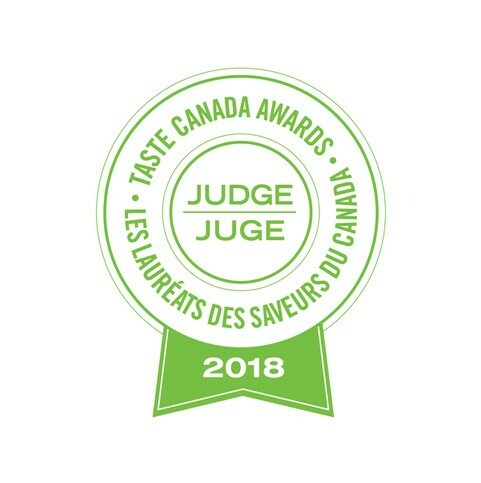 (View the full menu of cupcake flavours online). 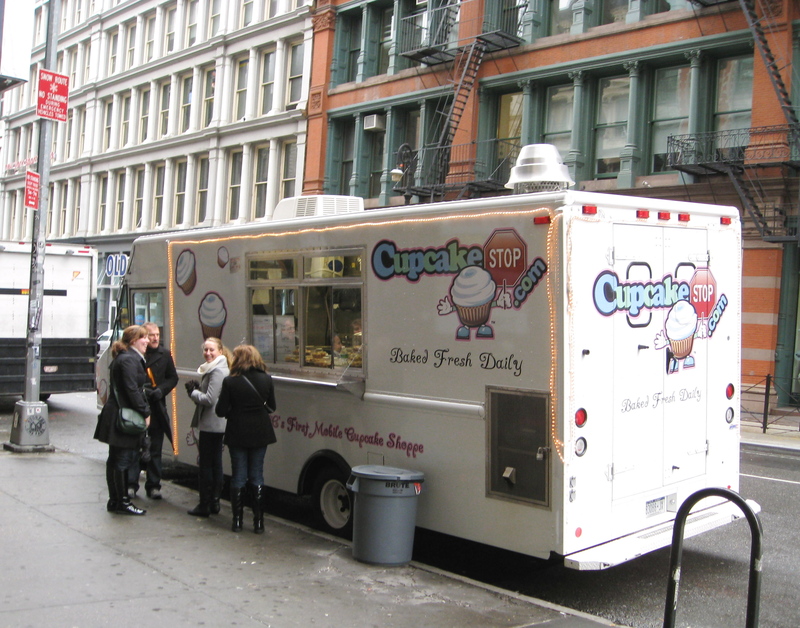 The Cupcake Stop has been roaming the streets of the Big Apple since June of this year. You can find out where the truck will be by checking the CupcakeStop web site and Twitter. 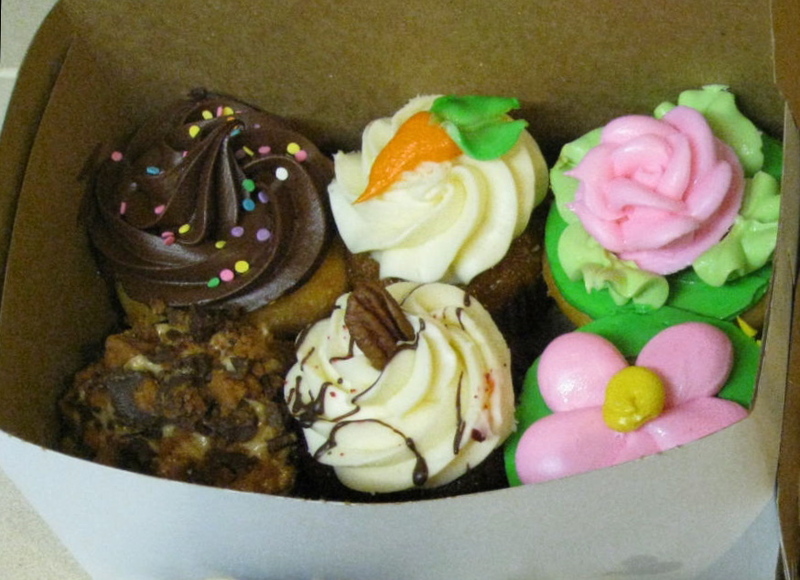 If you’re a cupcake lover and plan to visit NYC, check out this list of where to get cupcakes in New York City from the Carroll County Times. Or you can hop across the river into New Jersey and visit Carlo’s Bakery (of TLC’s Cake Boss fame) for cupcakes, as we did on a trip to NYC this summer.